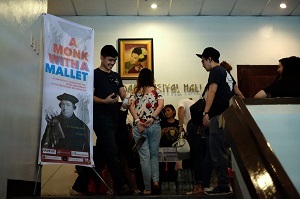 A satellite campus of a Filipino megachurch says BibleMesh was a key part of the impetus for its celebration of the Protestant Reformation’s 500th anniversary. 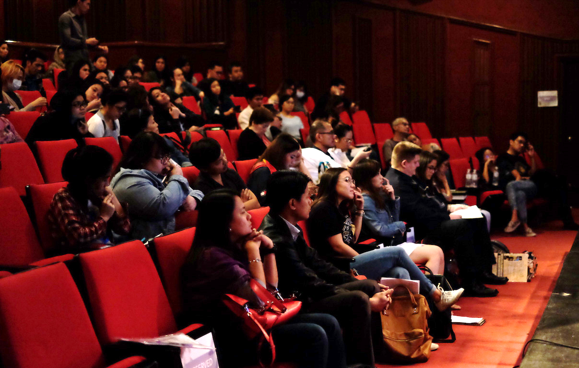 In January, the Manila-area Eastwood satellite of Christ’s Commission Fellowship (CCF) – a Philippines-based nondenominational church with 30,000 attendees at its main campus and 60 satellites worldwide – began taking some 20 young adult leaders through a series of BibleMesh online courses that covered biblical and systematic theology, church history, and apologetics. Providentially, the students’ excitement for the Reformation’s theological heritage peaked as the 500th anniversary approached of the day Martin Luther posted his 95 Theses to a church door in Wittenberg, Germany. 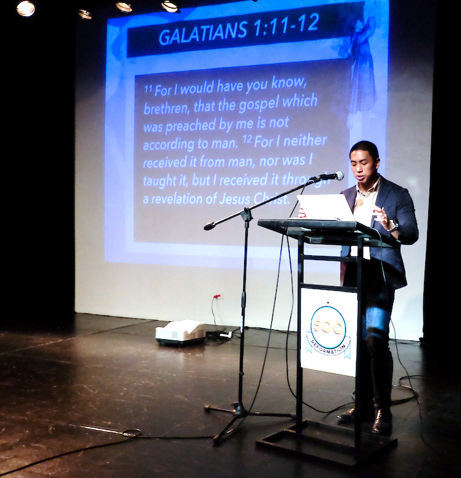 So Gurango worked with fellow leaders at CCF Eastwood – which averages 900 worship attendees – to organize an October 28 conference on Reformation doctrine that drew more than 150 participants from multiple churches. BibleMesh cosponsored the event with CCF Eastwood, and all conference participants received free access to Era 1 of BibleMesh’s Biblical Story course. Speakers addressed the five Reformation solas, Latin statements that express the doctrines of Scripture’s sufficiency and justification by grace alone through faith alone in Christ alone for the glory of God alone. Not only did the conference educate believers about the Reformation, the experience also increased enthusiasm for BibleMesh at CCF Eastwood. Older CCF Eastwood leaders who did not participate in the initial BibleMesh cohort have signed up for a second run, Gurango said, now that they have observed the study’s benefits to the congregation. Some Reformation conference attendees also want to participate in the online study. While various BibleMesh courses could be used in local church studies, the five courses Gurango selected were: The Bible in Missional Perspective (produced by the Porterbrook Network), Systematic Theology 1 & 2 (produced by the Bethlehem Institute), Church History in Missional Perspective (produced by Porterbrook), and Apologetics (produced by Porterbrook). Other aspects of Gurango’s curriculum were courses CCF already had in place for its members as well as online discussions and tests he designed. Upon completion of the curriculum, students received a certificate from BibleMesh in partnership with CCF Eastwood. There was even a graduation ceremony. For more information about how you can use BibleMesh courses or build out an online discipleship learning track for your church, visit BibleMesh.com or email admin@biblemesh.com.